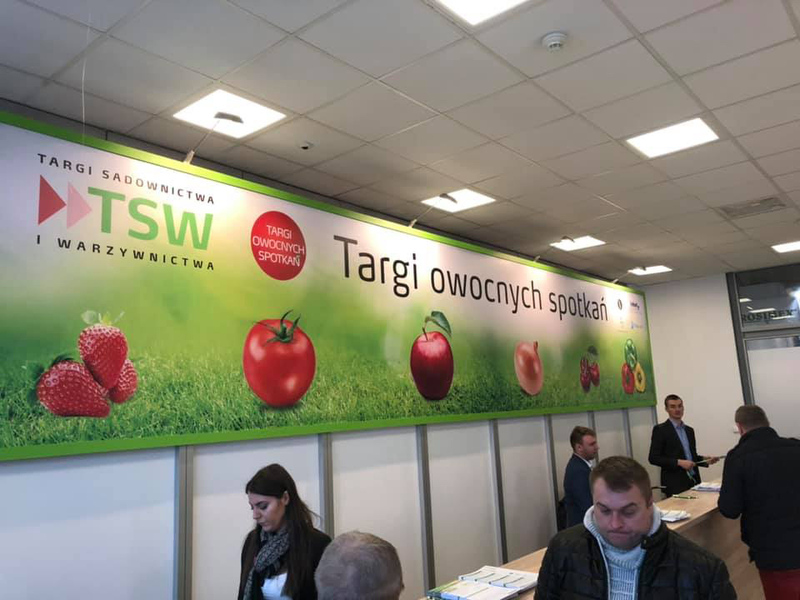 Back from TSW fair in Warsaw with our resellers. It has been the occasion to better understand the development of fruit production in Poland. Poland is the largest apple orchard in Europe, with an yearly production of around 4 million tons it represents 80% of the overall fruit production in the country. The apple varieties grown in the country are the most common ones: Jonagold, Golden Delicious and Royal Gala; local varieties are also plantend, although the number is decreasing. In the centre of the country, apple production has developed according to the temperate climate, and can be divided into three categories: table apples, apple for juices, apples for the international market. The main importers are United Kingdom and Russia, the latter in particular buys around one million tons from Poland. In recent years, thanks to the low costs of manpower, request has grown, especially from emerging markets such as Arabia and South East Asia. In 2018 apple harvest has had a 30% increase. 4,5 million tons of apples has become the new production record of the country since years. Spinazzè entered the Polish market around fifteen years ago thanks to a fruitful cooperation with local agronomists. Since then we have developed a vast sales network with wholesalers and installers that now allows us to provide our clients with turnkey orchard installations. 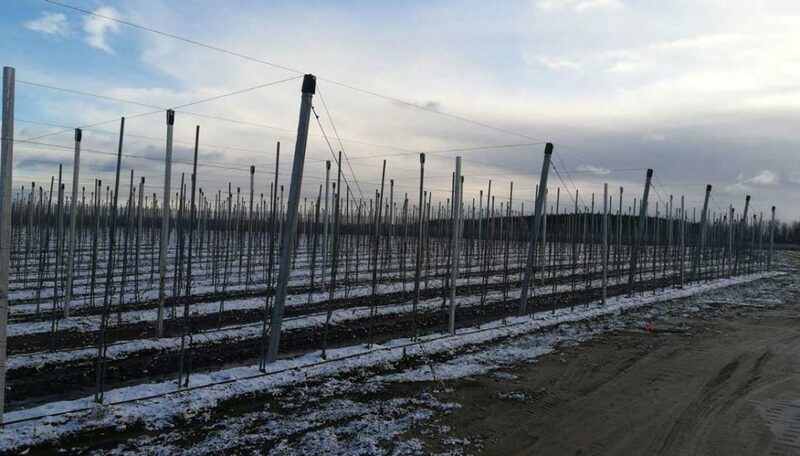 Poland is a crucial market for our company and our most requested products are prestressed concrete poles and anti-hail structures, the best guarantee for an orchard. – it has always been a thermometer of the economic situation in the country, imposing market trends and outlining rumors about the installing sector. Historically our company has always joined the event and we were there this year as well, to sense the market forecast for 2019 together with our wholesalers and installers. The keyword for the upcoming season is certainly “renovate“. Most of the Polish orchards are broad and wide, growing varieties that are no longer requested from the western markets. 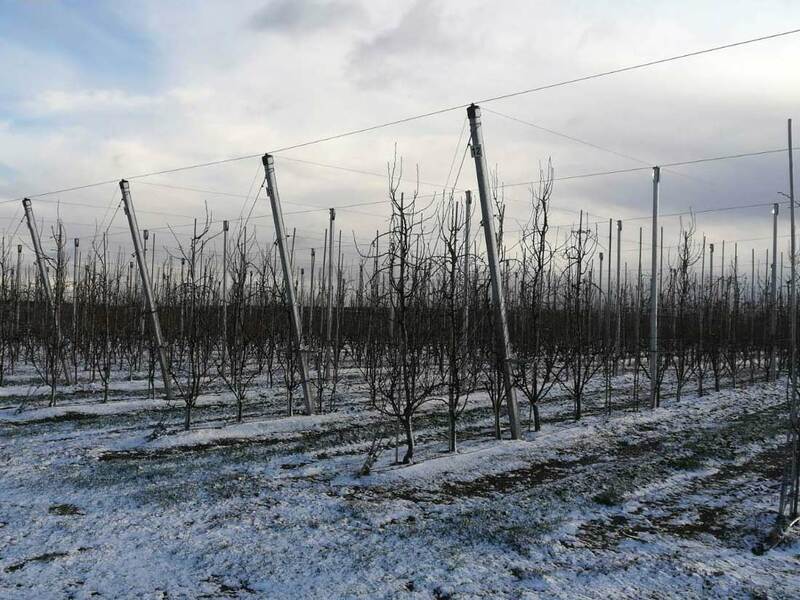 It is therefore necessary to build up new modern installations, growing apple varieties that are compatible with the “fresh” marke requests. The persisting main complexity is due to the price paid to the producer that is way too low and limits fruther investments. Our partners are however optimists and confident and we are ready to begin a new season and satisfy their requests at our best.